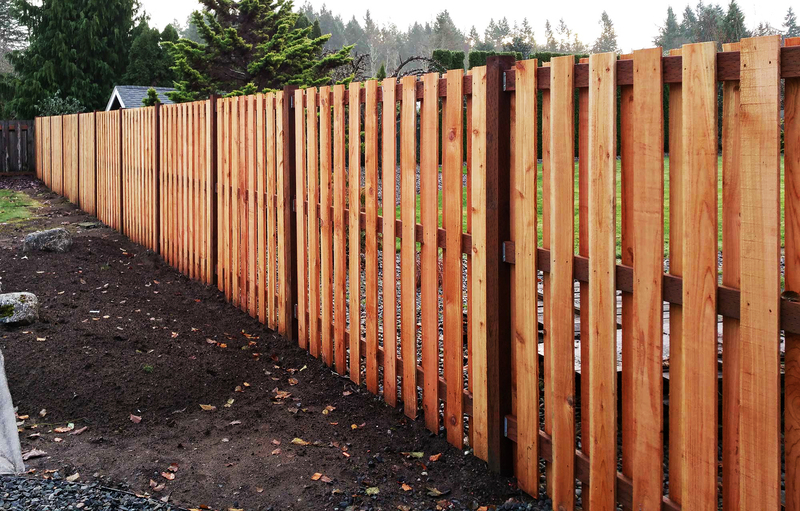 Good Neighbor Fencing – Horizon Fence Co.
Good neighbor fences are designed with half-inch overlapping cedar fence boards. These alternating fence boards create a slatted look, providing security while making the yard seem more spacious. Homeowners who use good neighbor fences find their relationship to each other reinforced by their well-chosen fence designs. Even if you’re on good terms with your neighbor, installing a fence can create a stifling barrier between what could be a lasting friendship. This is not the case with a good neighbor fence. Good neighbor fencing promotes good intentions and trust.